Brussels/Zürich. 11.01.2016: European Aluminium welcomes ESTAL, the Europeanassociation of Surface Treatment on Aluminium, as a member. To increase benefits to its membership, ESTAL decided to join forces with European Aluminium as of 1st January 2016. Both associations work with the same metal – Aluminium – and are active on the building and the transport markets. 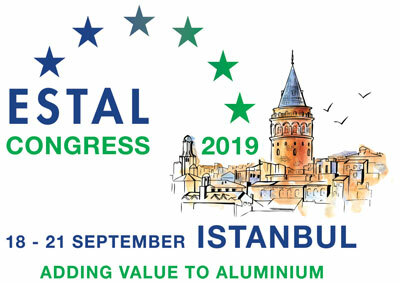 European Aluminium and ESTAL together will better represent the value chain, bring more visibility to the aluminium sectors as a whole, and promote the unique strength of aluminium for sustainable and recyclable buildings and vehicles. Together the two organisations will be better positioned to promote aluminium and aluminium surface treatment, and consequently help increase the market share of the members of both associations.